For Fabric Friday I usually like to share what’s new in my store. However, this time around I thought I’d do something a little different. I just met with my awesome Moda sales rep. this week and she showed me all the super yummy deliciousness that will be coming out over the next few months. So I thought I’d share a few sneak peaks of what we ordered. 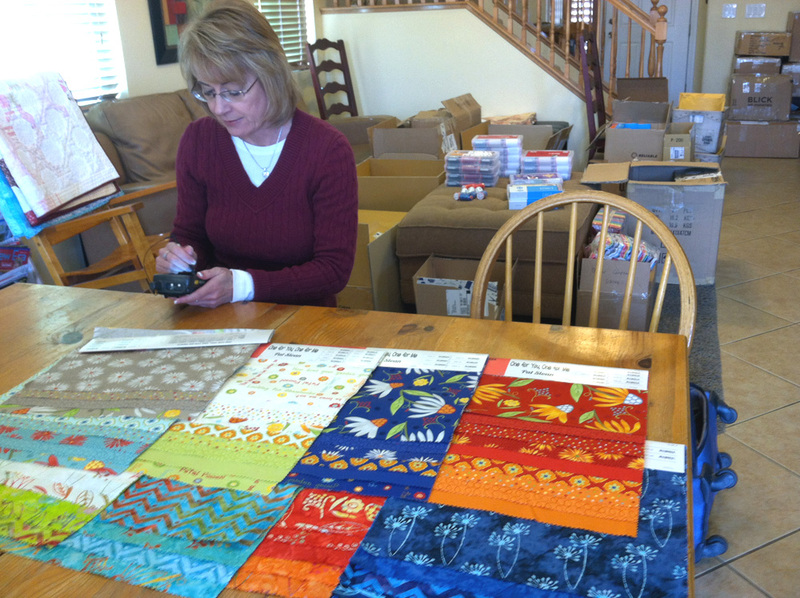 Sonja, my Moda sales rep., scanning orders for me as fast as I can place them! The latest line from Pat Sloan is called One for You – One for Me and is due out in August. She’s combined prints with batiks in this fun bright combo and I’m getting all the precuts from both groups. Here’s a better closeup. Aren’t these great? We have a very “scientific” way of determining how many precuts to order from each line. Each group falls into 1 of 3 categories: “Good”, “Awesome” and “Super Awesome.” Jason and I think Pat’s new collection is super awesome, so we have ordered tons! Let’s hope everyone else thinks it’s super awesome, too! Next, we decided to scoop up precuts from Momo’s latest line called Avant Garden. I love her contemporary-modern aesthetic and her medium to large scale whimsical motifs. 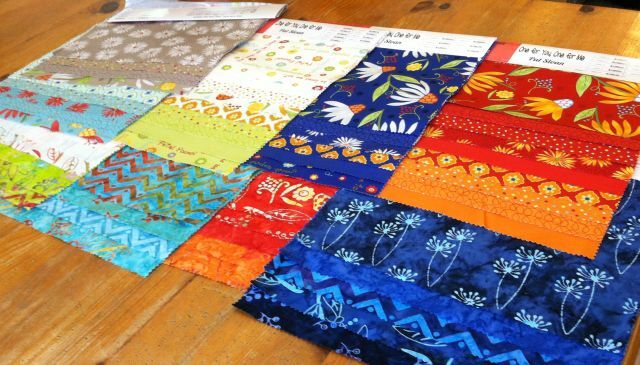 Moda is starting to add cotton/linen blends to the mix, so we grabbed a few of those to try. 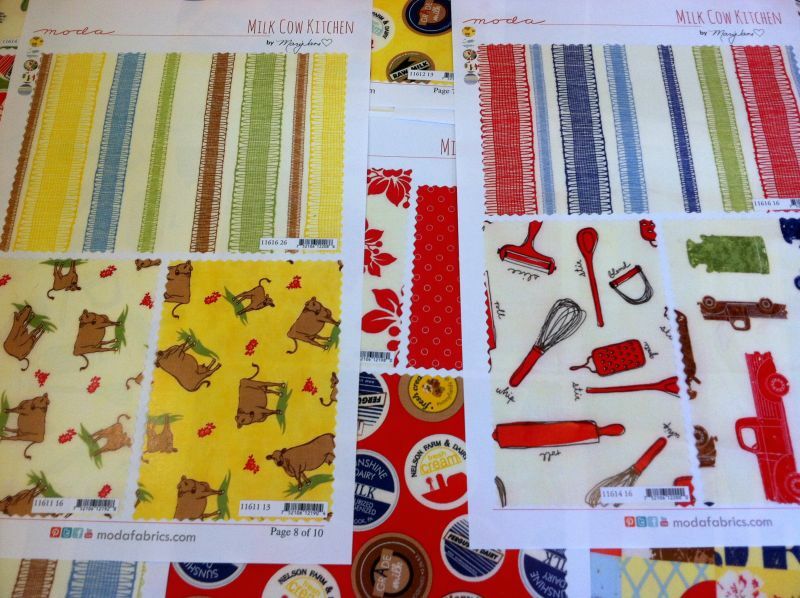 The cottons and linens are both due out in July. See those coordinating solids? Those are linens! We ordered some of the Linen Mochi Dot fat quarters last time Sonja came to visit, and those are available for purchase now. I haven’t tried any linen in my own quilts yet, but I keep hearing great things about it! 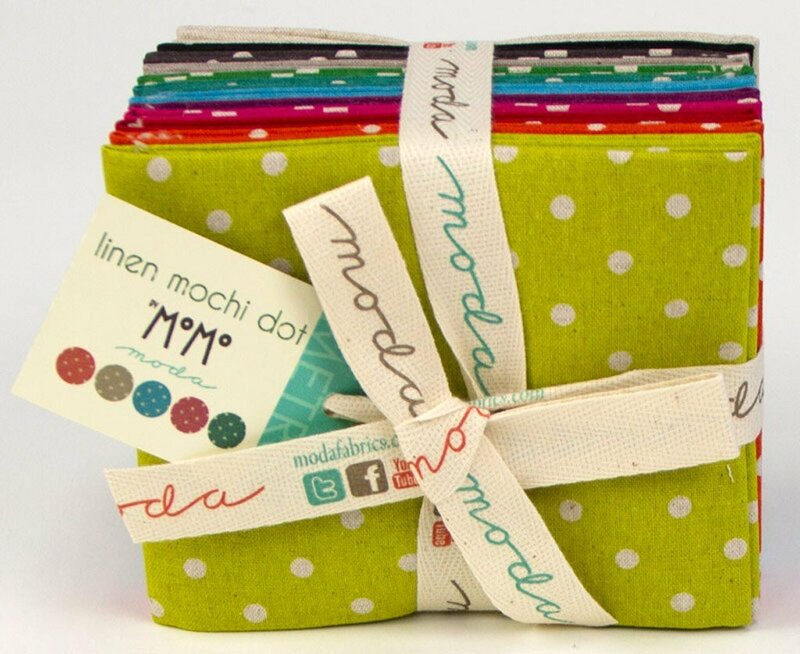 Linen Mochi Dot fat quarters are available now. Click here to purchase. Jason and I are now focusing exclusively on precuts and thread (while clearing out all of our older yardage, kits and notions). We are pretty much trying to carry all the precuts we can. It’s a tall order, but the process sure has been fun! BasicGrey is out with a new selection of 20 almost-solids. We picked up a healthy amount of fat quarters, layer cakes, jelly rolls and charm packs of these beauties which should arrive next month. If these do well for Moda, they will consider making them a “basic” which means they are indefinitely restockable. Let’s keep our fingers crossed! I ordered about half a dozen more new groups, but only managed to get a picture of a few of them seen below. We were so busy chatting, I forgot to take more pics! Native Sun by Abi Hall, shipping in July of this year. Lulu by Chez Moi, due out in July. Milk Cow by Mary Jane, also coming in July. More of the Moda precuts we ordered earlier in the year are finally listed in the store. 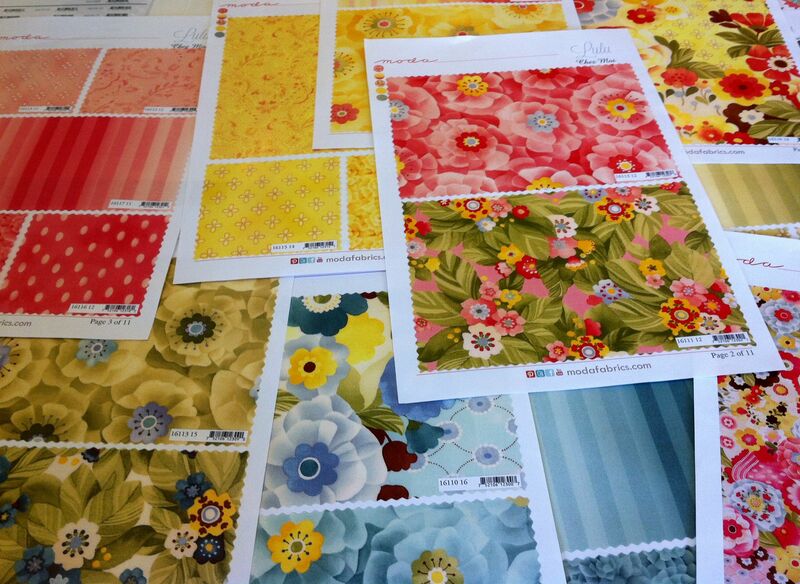 It’s so fun to order new fabrics, but so hard to wait for them to arrive! Two of the new groups include April Showers by Bonnie and Camille plus Vanessa Christensen’s Color Me Happy. Doesn’t fabric just make you happy? Sew and Tell – Do You EQ? I Do! You are so right…Pat Sloan’s fabrics are AWESOME. Love the colors. Moda can’t go wrong keeping Grunge in their fabric line. One For You looks nice, and I love Grunge! 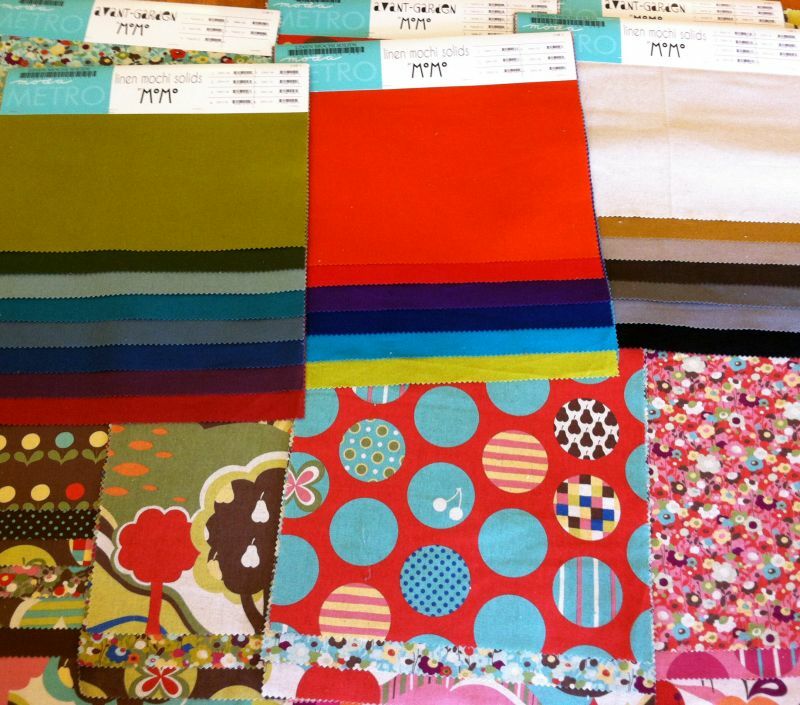 Love this time of year… New fabric goodies!! As a member of Fabriholics Anonymous I am just drooling over these new fabrics. I don’t think I can wait till July. LOL. It looks like this is one of the best parts of running a fabric business! Happy to see all that you are ordering. What is the feel of the linen dot fat quarters? It’s a little thicker, like home dec weight but it washes up really soft! Pretty post! 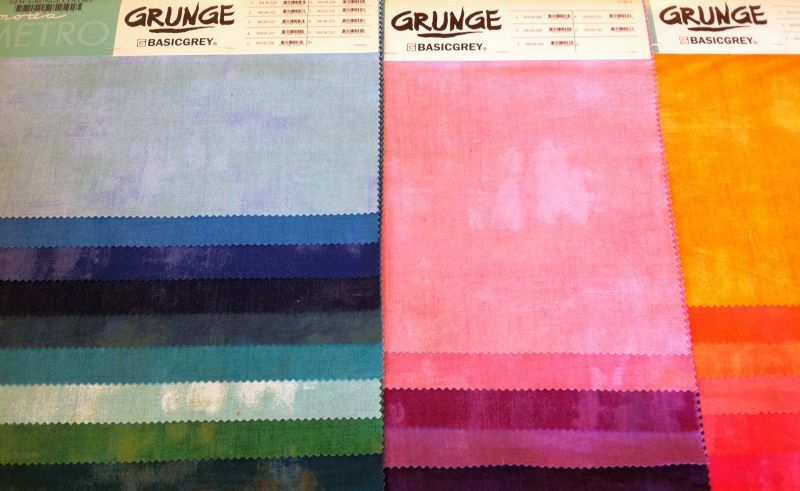 I love those Grunge fabrics, I really hope they do well! Milk Cow fabric! I had to laugh. They all look yummy. Hi Christa! You have perfect timing. I’ve been planning on making the “Charm Pack Cherry Quilt” from the Fat Quarter Shop, and already ordered two charms of Basic Gray’s PB & J. 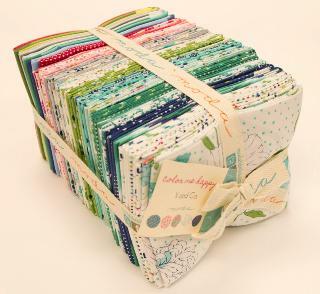 Rather than me cutting out my own 72 5″ squares from the grunge yardage, I’ll get some grunge charm packs from you! Yea! Are the charm packs all one color or collections? Will you let us know when they arrive? Thanks a lot! Thanks for sharing! Love almost everything! (no surprise!) Can’t wait to have a few of these in the stash! 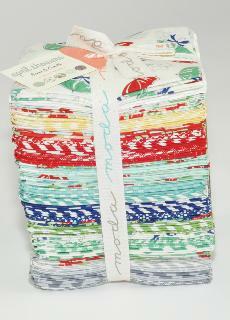 There are definitely a few that will make some beachy quilt lovelies! One for You One for me looks fabulous in the blue corner of your picture. I am a blue addict when I sew for myself. Fabrigoodness! Inspirational bundles. Thank you. I love pre-cuts and sometimes they are hard to find so it is good to know that you will be focusing on them. I am looking forward to trying some of the linens that you chose. I love that “Grunge” and hope it sticks around for a long time!!!! I love the grunge line. I hope it catches on because it has become my go to “solid”. Fabric is better than candy! Love your choices! I’ve been drooling over April Showers for awhile now, I may have to break my stash diet and get some. These are some lovely fabrics! I love the grunge basics! Its so beautiful! Ok How long is it til July? The wait…it almost like waiting for a new baby! I am so inspired with all of this gorgeousness! 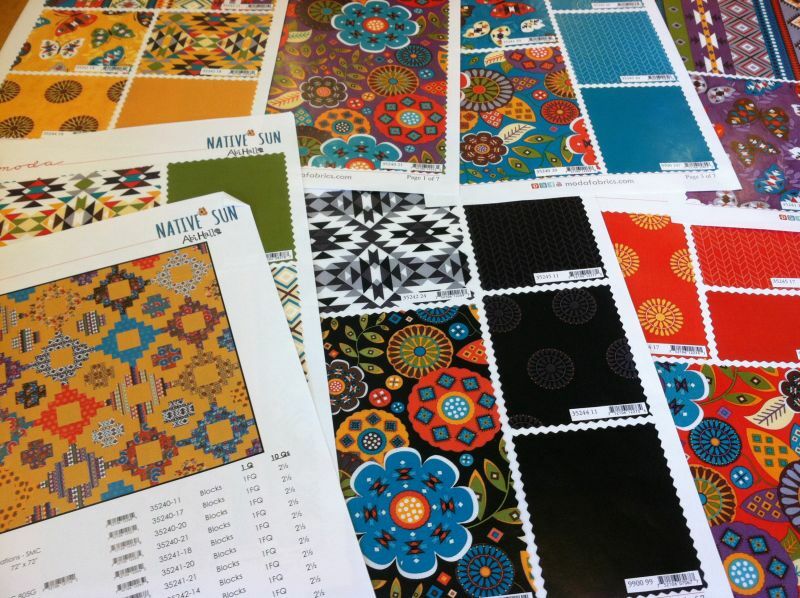 I love many of the new fabrics: Lulu by Chez Moi, and Native Sun by Abi Hall, are my favorites! Thanks for sharing these new beauties! Thanks for sharing all this. I used to go fabric buying with a friend and I’ve missed this! I love the BasicGray, the linen solids, and most especially the zigzag batiks in the first picture. I’ve used lots of linen in my crazy quilting and I love it. It works nicely with cotton. And dupioni silk, for that matter. This is a whole lot of fabric goodness in one post!